Family Law Youtube Channels List. The Best Family Law Youtube Channels from thousands of top Family Law Youtube Channels in our index using search and social metrics. We’ve carefully selected these youtubers because they are actively working to educate, inspire, and empower their audience with frequent updates and high-quality videos. 1.24 The Family Law Co.
About Youtuber Feldstein Family Law Group Professional Corporation is comprised of a team of Lawyers and Law Clerks, all of whom practise family law exclusively. About Youtuber Russell Alexander Family Lawyers work exclusively on divorce law and family related matters, including custody, spousal support, child support, alimony and separation. About Youtuber Men, Women and Children suffer equally from the corruption of the unconstitutional Family Law System. Family Law Reform Now is a channel which shares videos on family law. About Youtuber Woodruff Family Law Group concentrates in guiding you through today's complex legal, business tax, financial and psychological divorce environment to develop creative solutions tailored to your unique situation. About Youtuber Woolley & Co, Solicitors is a UK based divorce and family law firm. They help people with legal issues when a relationship breaks down assisting them to reach agreements about their separation, their children and the division of any finances. They advise people who are married, about to get married, living together, separated and already divorced, whether they live in the UK or are Abroad. About Youtuber Lorne MacLean QC is one of Canada's most experienced BC family law and divorce lawyers. MacLean Family Law help you triumph over complex family circumstances so that you can move forward to better times. They’re passionate about devising empowering family solutions that will allow you to move past your obstacles to a full, rich future. About Youtuber Goodwins Family Law Solicitors are a leading London based family law firm, specialising in a number of disciplines including divorce, child custody and maintenance, financial disputes, high net worth and international cases. About Youtuber Are you a recently Separated or Divorced Parent? One of the hardest things is knowing what to do next. We will help you and guide you through this difficult time with information, knowledge and support. Our channel is designed for you in mind, helping both Mums & Dad's and your children. About Youtuber ModernFamilyLaw is Colorado's top family law firm. Our team of expert lawyers help clients with divorce, custody, child support, parenting time, and other family law cases throughout Colorado. About Youtuber Christine S. Cook has started this channel to share her views on family law. About Youtuber Family Law Partners are a specialist firm of family law solicitors in Brighton. From our office in central Brighton the team advise clients on a range of family law matters across Sussex, London and the South East. About Youtuber The Collaborative Family Law Association (CFLA) offers a network of legal, mental health, and financial professionals, who are committed to providing a respectful, supportive, and non-adversarial process to divorcing couples that will enable them to construct their own solutions for their family’s future. About Youtuber Primus Family Law Group pertains to Family Law and Divorce in San Diego , CA. About Youtuber Separation and Divorce are one of the most challenging and emotional times in a person's life. Navigating the Court system and negotiating family law issues are complicated. Warsi Family Law serves the Toronto GTA, Richmond Hill, Oshawa, Thornhill, Markham, Ajax, Whitby, Vaughan and Pickering areas. About Youtuber Attorney Cheryl Alsandor, Houston-based family law specialist, provides practical answers and insights to common family law questions pertaining to divorce, property, child custody, child support, visitation, paternity, maternity and enforcement issues. Attorney Alsandor is board certified in family law by the Texas Board of Legal Specialization. About Youtuber Conscious Family - Law & Mediation is a Colorado-based professional firm with a mission to help people create healthy intimate relationships, and to collaboratively or amicably transition apart when necessary. About Youtuber New Direction Family Law has over 16 years of Family Law And Divorce Experience. New Direction Family Law provides legal representation and a network of trusted professionals to provide additional services and support you may need so you can have the life you want and deserve. About Youtuber Connatser Family Law is a Dallas law firm that handles exclusively divorce and family law cases in Texas. Their mission is to serve their clients in the most effective and ethical manner, handling divorce, child custody, complex property settlements, asset tracing, marital agreements, paternity issues, mediation and collaborative law pertaining to the dissolution of marriage. About Youtuber Attorneys at Vetrano|Vetrano & Feinman LLC practice family law, handling cases in: divorce, child custody, alimony/child support, and amicable divorce. We strive to find solutions to all problems that keep the family in mind. About Youtuber While the Salant attorneys specialize in Family and Divorce Law, the firm provides a broad range of legal services to individuals and business clients throughout the state of New York. About Youtuber Hoffer Family Law Firm was founded by Attorney Jeffrey Hoffer, a well-known divorce and family law attorney and published author located in Southern California. He takes pride in performing excellent work for each client. About Youtuber Welcome to Tracey Miller Family Law's YouTube Channel! We are one of the top family law solicitors in Merseyside, and offer a wealth of experience to help you through the breakdown of your relationship and the consequences of that such as divorce, separation, issues involving children, and financial matters. About Youtuber Brisbane Family Law Centre (BFLC) is a Specialist Family Law Firm based in the inner Brisbane suburb of Albion. BFLC is a multidisciplinary legal practice offering a holistic service to clients experiencing divorce and separation. At BFLC we genuinely believe that better education in relation to family law matters will lead to better outcomes for families. 24. The Family Law Co.
About Youtuber The Family Law Company by Hartnell Chanot is a firm of family law specialists. Founded in 1991, The Family Law Company (formerly known as Hartnell Chanot & Partners) has grown to become the largest family law solicitors in the South West with offices in Exeter and Plymouth. About Youtuber At Arizona Family Law Attorneys, we believe in exceeding expectations by solving problems in unexpected ways. We treat our clients like family, and support a positive and healthy environment to reach the best possible outcome. About Youtuber The Family Law Group of Geary, Porter & Donovan, P.C. is powered by tenured family law attorneys who provide personalized consultation and one-on-one guidance. About Youtuber Family Law Guys is a law firm dedicated to helping clients with family law issues. About Youtuber Dallas divorce attorney Alexandra Geczi and her team share information about Texas family law and divorce. The top rated divorce law firm is dedicated to providing the best legal services to women in particular in the Dallas - Fort Worth area. Divorce and family law for women by women. About Youtuber Looking for a family lawyer in Honolulu Hawaii? Attorney Steve Cedillos can help with your family law issues in the island. 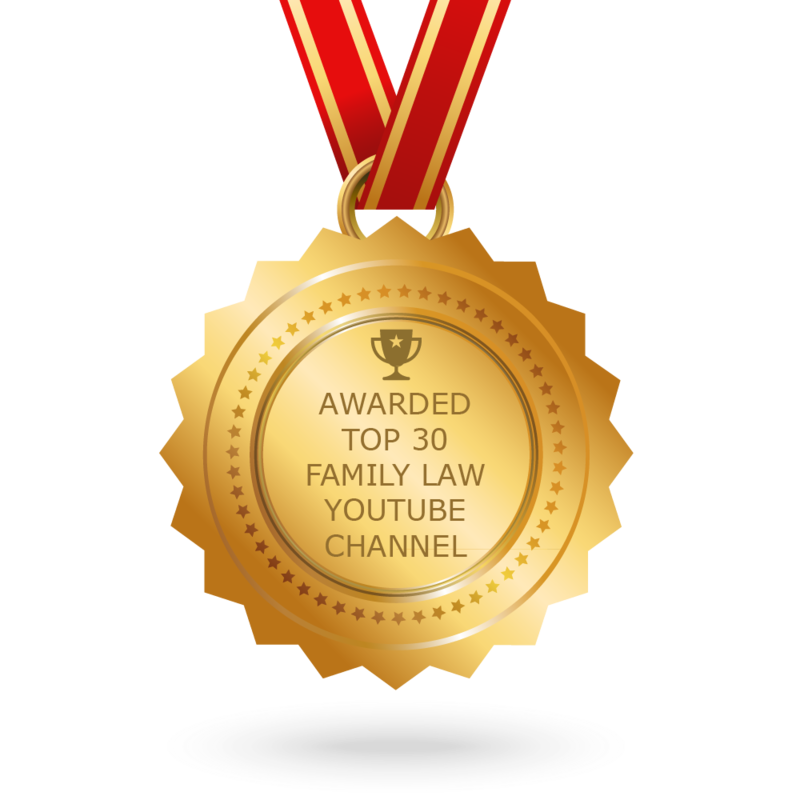 CONGRATULATIONS to every youtuber that has made this Top Family Law Youtube Channels list! This is the most comprehensive list of best Family Law Youtube Channels on the internet and I’m honoured to have you as part of this! I personally give you a high-five and want to thank you for your contribution to this world.